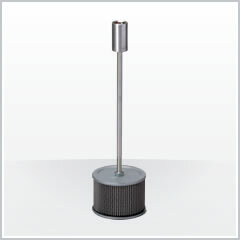 SFR | Suction strainer | Oil filters | TAISEI KOGYO Co., Ltd.
With the extension rod, strainer changes are easy regardless of the amount of oil remaining in the tank. Compact, yet protects a sizeable filtration area using folded wire mesh pleats as filtering media. Stainless steel wire mesh allows the filtering material to be cleaned and reused.